In this response to the question on how to prepare for death, Igor Kufayev speaks on living and dying, the essence of immortality, and what is really alive and never dies in us. Does everything about a person disappear at death? The body? Sure, it’s gone. The brain? It stops working, then dissolves. But what about awareness? Does our consciousness end forever? Open the doors to a new level of self-understanding and let go of useless suffering. 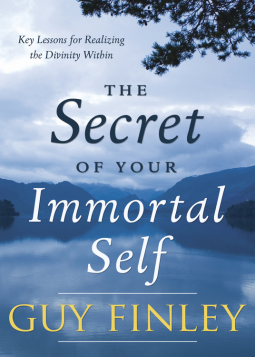 The Secret of Your Immortal Self helps you seek a deeper, more meaningful relationship with the Divine and provides powerful insights and practical steps on how to find a guiding light in the middle of any dark moment; a light that not only reveals the illusion of imagined self-limitation, but that instantly releases you from the fear of it as well. Filled with unique and meaningful essays, this guide shows you how to remember a long forgotten part of your true timeless nature. Piece by piece, this recollection stirs the sleeping soul that, once awakened, guides you to the crowning moment of life: contact with the immortal self. Once achieved, this celestial union releases you from regret, endows you with patience, and grants you the realization that—despite all appearances to the contrary—death is not the end of life. Guy Finley’s encouraging and accessible message is one of the true bright lights in our world today. His ideas cut straight to the heart of our most pressing personal and social issues — relationships, fear, addiction, stress/anxiety, peace, happiness, freedom ­ and lead the way to a higher life. Guy is the best-selling author of The Secret of Letting Go and more than 36 other books and audio albums that have sold over a million copies in 16 languages worldwide. In addition, he has presented over 4,000 unique self-realization seminars to thousands of grateful students throughout North America and Europe over the past 20 years and has been a guest on over 400 television and radio shows, including national appearances on ABC, NBC, CBS, CNN, NPR, Wisdom Network, and many others. His radio program, “Guy Finley Live,” is a live chat that airs monthly on HealthyLife.net as part of the network’s “Visionary Celebrity Host Series.” His syndicated weekly radio program is aired on several international networks including Healthylife Radio Network, WorldTalkRadio Network, and Contact Talk Radio International. His work is widely endorsed by doctors, business professionals, celebrities, and religious leaders of all denominations. Guy’s career reached this point through a circuitous path. Born into a successful show business family, he is the son of Late-Night TV and radio pioneer Larry Finley. His childhood friends were the sons and daughters of the most famous celebrities in the world. As a young man Guy enjoyed success in a number of areas including composing award-winning music for many popular recording artists including Diana Ross, Debbie Boone, The Jackson 5, Billy Preston, The Four Seasons, as well as writing the scores for several motion pictures and TV shows. From 1970-1979 he wrote and recorded his own albums under the Motown and RCA recording labels. Throughout his youth, Guy suspected there was more to life than the type of worldly success that led to the emptiness and frustration he saw among his own “successful” friends and colleagues. In 1979, after travels throughout North America, India and the Far East in search of truth and Higher Wisdom, Guy voluntarily retired from his flourishing music career in order to simplify his life and to concentrate on deeper self-studies. Best-selling “Letting Go” author Guy Finley’s encouraging and accessible message is one of the true bright lights in our world today. His ideas go straight to the heart of our most important personal and social issues — relationships, success, addiction, stress, peace, happiness, freedom — and lead the way to a higher life. Guy Finley explains that we always give our attention to what we value most. You can’t “look” for path to the Divine. The path is right here, right now. Our work is to just attend and listen for the Divine moment to moment and there’s no moment you can’t be attending to the Divine. That’s the true path to peace and freedom. Few people realize it, but there really are great spiritual secrets. They exist. In fact, your whole life has been a journey to find them. Once you do find them, you’ll hold the key to a life unimaginable. In these video programs by best-selling author Guy Finley you’ll learn powerful spiritual principles, leading to surprising new powers. End stress, relationship difficulties, depression, loneliness, anger — and realize effortless happiness. What have we not done to live forever? The critically acclaimed author of The Fruit Hunters—now an award-winning documentary film—weaves together religion, science, and mythology in a gripping exploration of the most universal of human obsessions: immortality. Raised an atheist, Adam Leith Gollner was struck by mankind’s tireless efforts to cheat aging and death. In a narrative that pivots between profundity and hilarity, he brings us into the world of those whose lives are shaped by a belief in immortality. From a Jesuit priest on his deathbed to anti-aging researchers at Harvard, Gollner—sorting truth from absurdity—canvasses religion and science for insight, along with an array of cults, myths, and fringe figures. He journeys to David Copperfield’s archipelago in the Bahamas, where the magician claims to have found “a liquid that reverses genes.” He attends a costume party set in the year 2068 with a group of radical life-extensionists, explores a cryonics facility, and soaks in the transformative mineral waters at the Esalen Institute. Looking to history, Gollner visits St. Augustine, Florida, where Ponce de Leon is thought to have sought the fountain of youth. Combining immersive reporting, rigorous research, and lyrical prose, Gollner charts the rise of longevity science from its alchemical beginnings to modern-day genetic interventions. He explores the symbolic representation of eternal life and its connection to water. Interlaced throughout is a compelling meditation on the nature of belief. An incredible thinker with “the talents of an investigative journalist, poet, travel writer, and humorist grafted onto one unusual specimen” (Mary Roach, The New York Times Book Review), Adam Leith Gollner has written a rollicking and revelatory examination of our age-old notion of living forever. Adam Leith Gollner has written for The New York Times, Gourmet, Bon Appetit, The Globe and Mail, and Good magazine. The former editor of Vice Magazine, he is also a musician and filmmaker. He lives in Montreal and Los Angeles. Working as a medical examiner, Dr. Janis Amatuzio has found that by listening and talking to loved ones of the deceased, she can offer them a sense of closure. In doing so, she has heard — and here retells — extraordinary stories of spiritual and otherworldly events surrounding the transition between life and death. This powerful book honors the mystery of life and death, exploring the realms of visions, synchronicities, and communications on death’s threshold. Told in the voice of a compassionate scientist who sees death every day, these stories eloquently convey the patterns of truth Dr. Amatuzio has found in what she sees and hears. Beyond Knowing explores the wisdom the living might find in these accounts and shows how that wisdom changes lives. 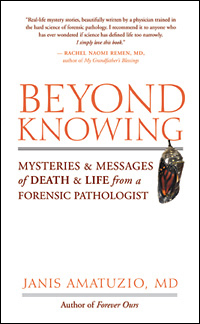 Known as the “compassionate coroner,” Janis Amatuzio is an internationally recognized authority in forensic medicine. She serves as coroner and provides forensic pathology services for several counties in Minnesota and Wisconsin. Trained at the University of Minnesota, the Hennepin County Medical Center and the Medical Examiner’s Office in Minneapolis, she has been in the field of forensic medicine for nearly twenty-five years. In this book, Chris Carter shows that evidence of life beyond death exists and has been around for millennia, predating any organized religion. Focusing on three key phenomena–reincarnation, apparitions, and communications from the dead–Carter reveals 125 years of documented scientific studies by independent researchers and the British and American Societies for Psychical Research that rule out hoaxes, fraud, and hallucinations and prove these afterlife phenomena are real. The author examines historic and modern accounts of detailed past-life memories, visits from the deceased, and communications with the dead via medium and automatic writing as well as the scientific methods used to confirm these experiences. He explains how these findings on the afterlife have been ignored and denied because they are incompatible with the prevailing doctrine of materialism. Sharing messages from the dead themselves describing the afterlife, Carter reveals how consciousness exists outside the parameters of biological evolution and emerges through the medium of the brain to use the physical world as a springboard for growth. After death, souls can advance to higher planes of consciousness or manifest once again on Earth. Carter’s rigorous argument proves–beyond any reasonable doubt–not only that consciousness survives death and continues in the afterlife, but that it precedes birth as well. Chris Carter was educated at Oxford University in Economics and Philosophy. He is the author of three highly acclaimed books that explore controversial areas of science and philosophy, and currently teaches internationally. View here and Here for Chris Carter’s previous books. Alex Tsakiris of Skeptiko interviews Chris Carter, author of “Science and the Near Death Experience” and “Parapsychology and the Skeptics”. Your Immortal Brain: Mastering the Art of Observation ~ Dr. Joe Dispenza, D.C.
A fascinating work of popular philosophy and history that both enlightens and entertains, Stephen Cave’s Immortality investigates whether it just might be possible to live forever and whether we should want to. But it also makes a powerful argument, which is that it’s our very preoccupation with defying mortality that drives civilization. Central to this book is the metaphor of a mountaintop where one can find the Immortals. Since the dawn of humanity, everyone – whether they know it or not – has been trying to climb that mountain. But there are only four paths up its treacherous slope, and there have only ever been four paths. Throughout history, people have wagered everything on their choice of the correct path, and fought wars against those who’ve chosen differently. 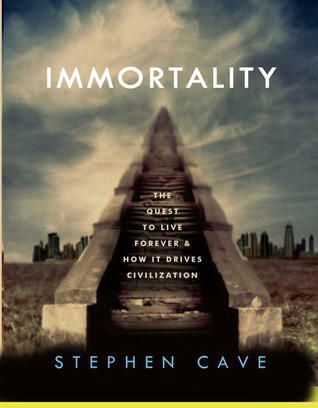 While Immortality takes the reader on an eye-opening journey from the beginnings of civilization to the present day, the structure is not chronological. Rather it is path driven. As each path is revealed to us, an historical figure serves as our guide. In drawing back the curtain on what compels humans to “keep on keeping on,” Cave engages the reader in a number of mind-bending thought experiments. He teases out the implications of each immortality gambit, asking, for example, how long a person would live if they did manage to acquire a perfectly disease-free body. Or what would happen if a super-being tried to round up the atomic constituents of all who’ve died in order to resurrect them. Or what our loved ones would really be doing in heaven if it does exist. Or what part of us actually lives in a work of art, and how long that work of art can survive. Toward the book’s end, we’re confronted with a series of brain-rattling questions: What would happen if tomorrow humanity discovered that there is no life but this one? Would people continue to care about their favorite sports team, please their boss, vie for the title of Year’s Best Salesman? Would three-hundred-year projects still get started? If the four paths up the Mount of the Immortals lead nowhere — if there is no getting up to the summit — is there still reason to live? And can civilization survive? 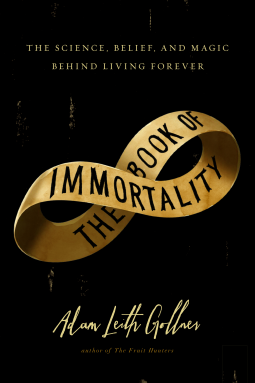 Immortality is a deeply satisfying book, as optimistic about the human condition as it is insightful about the true arc of history. Stephen Cave holds a Ph.D. in philosophy from Cambridge University and, before turning to full-time writing, worked as a diplomat. He writes regularly for the Financial Times and also contributes to the New York Times. The archetypal and symbolic qualities of mystical states of consciousness are ineffable, timeless, and fleeting, but they act as powerful reminders that it is possible to transcend our limited understanding to glimpse a unified eternal reality, which we are part of. The pilgrimage of life ends in death–there is no denial of this fact, but in Immortal Yearnings, we are asked to consider whether by giving the symbolism from universal imaginings a voice, we can use our perception to enrich our myths about death. Immortal Yearnings invites the reader on a voyage through the mysterious shape shifting world of archetypes and symbols that manifest in illuminating epiphanies during mystical states of consciousness, including that of the NDE. Exploring these constant recurring patterns of death and rebirth reveals how they not only provide the foundation for ancient religious and spiritual traditions, but remain hovering on the edge of human consciousness to inspire the transcendent functioning of the Imagination in literature, poetry, works of art, and architecture that reflect the sacred essence of this dynamic living symbolism. Annamaria Hemingway, Ph.D., is a writer, speaker, and spiritual counselor in the practice of conscious living and dying. A personal quest to discover a deeper purpose to the pilgrimage of life led her on a path to study world religious and spiritual traditions, ancient rites and rituals, mystical states of consciousness, and universal cultural mythologies surrounding death and dying. She received an MA in Consciousness Psychology, and was also granted an MA/PhD in Mythological Studies with an Emphasis on Depth Psychology from Pacifica Graduate Institute. She has worked in hospice care, and is a member of the International Association for Near-Death Studies. Annamaria became fascinated in tracing how the primordial affirmation of death and rebirth, signifying the transformation of consciousness, is encapsulated in ancient resurrection myths, the practices of many diverse spiritual traditions, and alchemical symbolism Her research, detailed in Practicing Conscious Living and Dying, Myths of the Afterlife, and the soon to be published Immortal Yearnings, reveals that this same affirmation is still vitally alive and manifests in spiritually transformative experiences, including contemporary near-death experiences and deathbed visions, which reaffirm the ancient belief in the posthumous journey of the soul. Rediscovering this great legacy of invaluable knowledge provides guidance on how to realign with the divine aspect of human existence in our materially driven culture and weaves a tapestry of hope that physical death may be just a transition into an eternal continuum of consciousness. PBS’ Closer To Truth host Robert Lawrence Kuhn interviews Dr. Alvin Plantinga (often named as the most important living philosopher of religion today) about life after death? Is the soul immortal? Alvin Carl Plantinga (born November 15, 1932) is an American analytic philosopher, the John A. O’Brien Professor of Philosophy Emeritus at the University of Notre Dame and the inaugural holder of the Jellema Chair in Philosophy at Calvin College. Plantinga is widely-known for his work in philosophy of religion, epistemology, metaphysics and Christian apologetics. He is the author of numerous books including God and Other Minds (1967), The Nature of Necessity (1974), and a trilogy of books on epistemology, culminating in Warranted Christian Belief (2000). He has delivered the Gifford Lectures three times and was described by Time Magazine as “America’s leading orthodox Protestant philosopher of God”. How can an Immaterial God Interact with the Physical Universe? PBS’ Closer To Truth host Robert Lawrence Kuhn interviews Dr. Alvin Plantinga (often named as the most important living philosopher of religion today) about God interacting with the world. What is the secret of Soma, the legendary mystic drink of immortality, first lauded by India’s ancient Vedic seers? Is Soma a single plant, type of plants, a way of healing, a special intoxicant, or an inner elixir produced by Yoga and meditation? Going back to the vision of the Vedic seers, David Frawley reveals the secret of Soma for body, mind and spirit, with its profound implications from diet and herbs to pranayama, mantra and meditation. His new analysis of Soma, reflecting forty years of study of Vedic texts, is practical, comprehensive and deeply insightful – so that you can bring the secret power of Soma into all aspects of your life and consciousness, and for the world as a whole. He follows the yogic approach of Ganapati Muni, the chief disciple of the great Advaitic guru Ramana Maharshi. Are we immortal? Do our souls exist beyond our bodies? What scientific evidence is there for mystical experience? These questions and others will be addressed from a cultural, historical, and scientific perspective by evolutionary biologist Kenneth Miller and theologians John Haught and Nancey Murphy. John Haught on scientism, explanatory monism, and why he believes multiple levels of explanation are necessary to understand the complexities of the human experience. This is an excerpt from the third in a six-part series, Perspectives on the Self, which brings together experts from the sciences and the humanities for conversations on the evolving meaning and experience of the Self. Kenneth Miller discusses how emergent properties and quantum physics can provide a solution for the problem of free will in a seemingly deterministic universe. 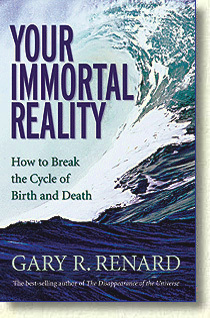 Your Immortal Reality, the long awaited new book by author Gary Renard, author of Disappearance of the Universe is now available. Gary Renard’s captivating book includes information from the Ascended Master Teachers, Arten and Pursah, who were first introduced to the world in Disappearance of the Universe. In this new book we learn how to incorporate advanced spiritual principles into our everyday life. Go beyond theory to an experience of the Divine and the undoing of the ego. Gary says that our progress will be accelerated to such a degree that, with practice we can’t help but stop the need to reincarnate and finally break the cycle of birth and death. Your Immortal Reality expands the teachings of the Gospel of Thomas and A Course in Miracles. By implementing a unique modification in our understanding of forgiveness, and taking the true meaning of thought to a whole new level, the result will break the cycle of birth and death. Your Immortal Reality is like nothing else you have ever read or heard. Discover how to practice true forgiveness and learn why we exist in such a chaotic universe – and how you can literally change the world – by changing yourself. Gary Renard will make you look at the world and yourself in a way you have never considered. Gary R. Renard, the best-selling author of The Disappearance of the Universe and Your Immortal Reality, was born on the historic North Shore of Massachusetts. He became a successful professional guitar player, but during the harmonic convergence of 1987, he heard a Calling and began to take his life in a different direction. At the beginning of the 1990’s, he moved to Maine, where he underwent a powerful spiritual awakening. As instructed, he slowly and carefully wrote Disappearance over a period of nine years. In the fall of 2003, after much encouragement from other speakers and students, Gary began to present talks and workshops in public. His speaking career took off remarkably fast, and today he lectures internationally. Combining a disarming sense of humor with radical, cutting-edge metaphysical information and experiential exercises, this acclaimed teacher of A Course in Miracles has been described as one of the most interesting and courageous spiritual speakers in the world. Over the past eight years, he has spoken in 43 states, 23 countries, and was the keynote speaker at several International A Course in Miracles Conferences. Gary is also a recipient of the Infinity Foundation Spirit Award. The award is given to a person who has made a meaningful contribution to personal and spiritual growth. Past recipients include Dan Millman, Ram Dass, Gary Zukav, James Redfield, Byron Katie, and Neale Donald Walsch. “What a piece of work is man!” We are all souls on the way to recognizing and becoming the divine Self within: the magnitude of our whole nature is beyond our present comprehension, for we are to a large degree a mystery to ourselves and to one another. Human life is surrounded by mystery from the moment of conception to the wonder of death. Although seasoned travelers, having experienced countless births and deaths and rebirths on this planet, we have merely begun to scratch the surface of our complex being. We belong to the sun, moon, and stars, to the vast universe, and can embrace the immensity of it and universes beyond in our consciousness. Earth is our home base, so to speak, our center of learning and opportunity for the soul’s expansion and awakenment, yet we should not forget that we are at home in many mansions. When we fall asleep we enter into a different awareness than our ordinary waking state, yet retain our identity, as we do after death, when the soul travels through many dimensions of experience. With each incarnation we bear the fruits of past causes, while sowing new seeds which will find karmic harvest in this or some future life. Because as self-conscious beings we fashion our own destiny we must assume full responsibility for the quality of our thoughts and actions. We are a blend of physical, emotional, mental, psychological, and spiritual-intuitional energies, to name but a few, and the combination of negative and positive aspects of these varies with each individual. This duality is a spur to inner growth, and through conflicts and suffering we learn discernment, gain equilibrium, patience, and fortitude, awaken compassion for others, and all the necessary qualities for our further evolution. As the seed holds the promise of the plant to be, so we have latent potentials within that hold the promise of the illumined human being we will one day become. The words of Jesus provide a key to our spiritual destiny: “I (the Christ spirit or divinity) am the way, the truth, and the life.” Each one of us is the pathway to our divine source. There is a paradox here, because divinity permeates all but must be pursued individually; only through each one’s effort and readiness will the “way” become evident. Central to us is our divine Self, our “Father within,” or Guardian Angel, that is with us in death as in life. It is a guiding light, a source of strength and wisdom, the Warrior that is continually prodding us to make the bigger, less personal choices. How do we become aware of it? For each one the answer may be different. Sometimes it is a feeling of peace and reassurance that steals in on one in the silence, and with it comes faith in the presence of a protective force beyond our ordinary understanding. Knowledge of the enduring spirit and the continuity of existence brings a broader vision and sense of purpose into our lives. It reduces fear of death by letting us see the experience as following the universal pattern, a rest time of assimilation and inner fulfillment rather than a finality; it strengthens confidence in our true Self and in the realness of others rather than focusing on the personality; and replaces despair and futility with optimism and hope. Sincere commitment to spiritual principles makes the difference between merely existing or automatically reacting to circumstances, and living with selfless motivation and inner awareness. Such is the justice of karma that we receive from every experience the quality of what we bring to it. It is difficult to understand how one can believe that we come to an abrupt end after one life, when everything around us, in all of nature’s kingdoms, reveals the beauty of the divine urgency of life to express itself. Of what value are our struggles and triumphs, sufferings and joys, complex natures, when we are still such unfinished expressions of our true humanhood? It would be a mockery if all our efforts, all our deepest aspirations, close associations with those we love, and accomplishments, were for naught or were to come to no resolution at some future time. Nothing was more difficult for me in childhood than to admit the notion of death as a state applicable to my own being. . . .
. . . But it was not so much from feelings of animal vivacity that my difficulty came as from a sense of the indomitableness of the Spirit within me. . . . I was often unable to think of external things as having external existence, and I communed with all that I saw as something not apart from, but inherent in, my own immaterial nature. . . . There is no question but that the childhood state, close to the heart of life, is an important phase of human experience and, when rightly nurtured, leads to richer insights and greater freedom of thought in the adult years. It also reveals more transparently our spiritual orientation as human beings, as well as giving obvious indication of the contradictory elements in us that seek to gain the upper hand. At the other end of the scale the elderly who have given of themselves to worthwhile endeavors, reflect their inner light as the body grows frail and the mind is enjoying the distilled essence of experience while gradually withdrawing from inconsequential things. Birth and death, coming at the beginning and ending of a life’s sojourn, are transitions between worlds which evoke feelings of the sacredness of the soul and intimations of invisible influences that shape our lives. The path of self-discovery is at best a rough road, different for each of us. Yet as we become more aware of our multi-leveled nature and its conflicting elements, we begin to discriminate between negative desires and thoughts on a purely emotional level and the more unselfish ones, between the personality and the individuality, between the physical senses and the more penetrating perceptions of the higher mind and intuition, and the wisdom of the heart. Yet sings, knowing it hath wings. In liberating our mind and emotions, the soul, like a bird released from its cage, is free to wing its way into the regions of the real Self, and beyond. Consciousness Explained Better is a unique contribution. This compact volume represents thousands of years of humanity’s struggle to understand consciousness from a wide variety of perspectives. It is an up-to-date digest of the search in bite-sized chapters. Allan Combs has managed to encapsulate and synthesize vast bodies of thought and research without dilution. He has made even the most mind-twisting arguments and questions comprehensible, and he has brought forward scholarship and rigorous inquiry in language that speaks to the heart as well as the head. This book satisfies with its comprehensiveness yet intrigues with all that still remains enigmatic. Allan Combs, a pioneer of Integral thought and practice whose name may be familiar if you’ve ever heard of the “Wilber-Combs lattice”, speaks with Ken about his latest book Consciousness Explained Better. Robert Cox’s The Final Event provides major new insight into the timing and significance of the momentous events beginning now to unfold on planet earth at this most crucial period of human history. Based upon his own intuitive cognitions, the author ties together prophetic indicators derived from the Vedic, Egyptian, Christian, Greek, Judaic, and Mayan traditions to develop a predictive historical model, which spans the last 13,000 years and, for the first time, connects the Precession of the Equinoxes with the cyclic unfolding of the four Ages of Man. The model accurately pinpoints, describes, and aligns the cultural and spiritual character of historical periods and points to June 2009 as the end of the current cycle of Ages and the beginning of the next. The author predicts that this date will mark the beginning of the 42-month period indicated in The Apocalypse of St. John, when all of humanity will traverse the Valley of the Shadow of Death making our way toward a new Golden Age, or Age of Truth. 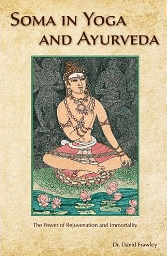 Robert E. Cox holds a Master’s degree in Vedic Studies from the Institute of Creative Intelligence in Switzerland. For nine years he lived as a reclusive monk, during which time he received intuitive cognitions regarding the structure and dynamics of consciousness that inspired his research. He is the author of The Pillar of Celestial Fire, The Elixir of Immortality, and Creating the Soul Body, and he lives in Arizona. In 1989, while attempting to extract precious minerals from his property, a wealthy Arizonan obtained a mysterious white material that initially defied scientific attempts to identify it. After several years of testing, this substance was revealed to consist of gold and platinum–but in a form unknown to modern science. Further research showed that this powder, which had also been discovered to possess marvelous healing powers, contained monatomic forms of precious metals whose electron units had been altered to no longer display the physical, chemical, or electrical properties of the original elements. This substance, Robert Cox shows, bears eerie resemblance to the ultimate quest of the alchemists: the elixir of immortality. The mysterious material-spiritual science of alchemy was once pervasive throughout the ancient world, spanning the globe from China and India to Egypt and medieval Europe. In The Elixir of Immortality, Robert Cox reviews the alchemical lore of these traditions and the procedures each used to produce this fabulous elixir. Using his own alchemical research, Cox then reveals secrets that have been kept hidden for millennia uncovered in his own modern-day quest to rediscover this long-sought elixir of life. Tank, a bulldog with a heart as loyal as a soldier, and Bojangles, a rambunctiously sweet rescue dog, were two of the loves of my life. Inseparable, they died within a year of each other. Believing that they had souls, I gave them as good a passage from this world as possible, at home and surrounded by family. Yet after my dogs’ deaths I found myself feeling oddly shy talking about their loss, even as I choked back tears. Why, I wondered, did I feel so self-conscious — and why did I have only the fuzziest notions about the afterlife of my animal companions? In search of insight, I turned to Ptolemy Tompkins’ new book, “The Divine Life of Animals: One Man’s Quest to Discover Whether the Souls of Animals Live On.” In it, Tompkins undertakes an exploration into the myths and beliefs across time that have defined animals’ place in the metaphysical scheme of things. In the following interview, I share the highlights of our conversation. Pythia: In your book you range from prehistoric cultures that viewed animals as spiritual beings, to Buddhist beliefs around the reincarnation of animals, and figures like Saint Augustine, who believed that animals would not be found in heaven. What was your purpose in laying out all these and other scenarios? Ptolemy: In our modern culture, where people are skittish about talking about whether humans have souls, you can’t just immediately jump to the animal soul. So I saw myself as having to go back through history and see when the idea of the soul began. I wanted to address why we sense that the soul is real, but feel out of touch with what it really is. Whether a 12th century Sufi mystic or an Australian aborigine, people used to have a much more specific idea of the soul. But we live in an age of metaphysical timidity: people don’t want to ask serious questions about the soul and the afterlife because they’re afraid that they’re being naive — and all this goes triply for asking about your dead dog. But if an animal or someone I know dies, where is that specific personality that I knew? Did it melt back into some kind of larger consciousness? Does it still exist in another dimension? These are completely valid existential questions. Pythia: I was fascinated by your description of the “Fall” — the narrative of a golden era when animals and humans lived together in harmony until dropping out of it into conflict — that you say is one of our oldest stories. Why does this myth have such significance? Ptolemy: Whether in the Brazilian rain forest or the story of Adam and Eve there is this recurring theme that in the past animals and humans lived in more fluid accord with each other. What a lot of thinkers believe this myth means is that life on the physical level was preceded by a spiritualized existence that we “fell” out of. But it’s also understood that at some point in the future things will return to their true essences and that the journey of life, while difficult, has something good about it. Pythia: Another theme in your book is the ongoing question of which species is more important — animals or humans. Where did you come out on that debate? Ptolemy: There are two arguments in myth and religion that go back and forth. In one, humans are at the center of everything. Or, humans are just arrogant beings who think they’re special when they’re not. I decided that both these ideas are extremes. Along with other thinkers, I believe that there is something about human beings that sets us apart from the rest of nature, but that doesn’t mean that we aren’t a part of nature. Very often in myths of the Fall, for instance, it’s a human being who causes the problem. What this says to me is that our humanness is a special part of creation, but that we ruin our uniqueness when we cut ourselves off from nature. Ptolemy: In esoteric philosophy you find this idea that the cosmos is hierarchically structured. In this Great Chain of Being, animals are below and angels are above, with human beings dead center in the middle. Some say this is a humanist-centric idea and that it denigrates animals. But I think that at it’s best it means that something more is demanded of us. In all the traditional cultures it’s the responsibility of human beings to oversee the interactions of the different species, and to honor nature through ritual activities. Pythia: At the end of your book, you seem to indicate that we’re coming full circle, and entering a new era. Ptolemy: I think we’re in a time when a new overarching narrative needs to come into play. We don’t know exactly what that is yet: it has something to do with science and religion meeting, and with Eastern and Western faiths. The New Age drives me nuts, even though I’m kind of a New Age person because my dad raised me in it. (Tompkins’ father, Peter Tompkins, was the author of “The Secret Life of Plants.”) But there is a core intuition at its heart that is correct, which is that there is a new story about to come together out of this huge mix of different perspectives. Something is about to change, but it hasn’t happened yet and that’s why there’s so much confusion. Pythia: Does this circling around to a different story that is both old and new also include integrating the values of prehistoric and indigenous cultures, especially with regard to animals? Ptolemy: We are as cut off from nature and our true spiritual identities as it’s possible to be without going crazy. What we’ve done to the planet is a symptom of that. No traditional culture would look at a human being without the context of the natural world. But if we’re going to move out of that state of alienation and back into a state of genuine connection with the universe, we have to do it with animals. We fell out of Paradise together, and we’ll fall back into it together. Pythia: Indeed in your book you write that, “Whenever humans forge a truly spiritual connection with animals the space separating earth from heaven becomes just a little smaller.” In this sense is the way we relate to animals an important spiritual practice? Ptolemy: Anytime you have a feeling of compassion for an animal you’re connecting to the entire physical and spiritual universe. It’s a tiny keyhole to this whole lost world of connection. You can still be a realist and know that physical life is tough. But you can also feel that connection to an animal and its existential plight, and realize that it’s a brutal world for animals marked by suffering. In the course of this conversation, how many pigs have been slaughtered in South Carolina? Pythia: At the end of your book, you arrive at your own synthesis of ideas about the next world as a kind of transcendent earth where the individual personality, animal or human, lives on. Pythia Peay got her start as a writer in 1968, when her weekly column “Wildflowers” ran in the Oak Grove, Missouri High School newspaper. After a decade in the San Francisco area at the height of the spiritual renaissance, where she studied with the Sufi teacher Pir Vilayat Inayat Khan, she began her career writing about spiritual and psychological themes. Her trademark down-to-earth articles about matters of the soul – whether the soul of the city, the messages in our nightly dreams, deep politics, or finding our calling – have appeared in media such as Washingtonian, Beliefnet, George, New Woman, Common Boundary, Ode, and Utne magazine. Her columns for Religion News Service have appeared in newspapers around the country, from The Cleveland Plain Dealer, to The Kansas City Star and The Salt Lake Tribune. The author of Soul Sisters: The Five Sacred Qualities of a Woman’s Soul, Peay also lectures and offers workshops on women’s spirituality. For the last six years, she has worked to complete a psychological memoir, American Icarus, a deeply researched book into the life and times of her father, and their turbulent father-daughter relationship. She makes her home in the Washington, D.C. area.